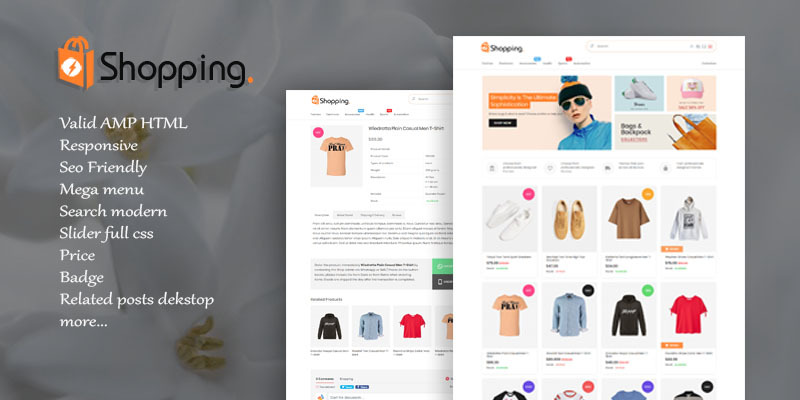 Shopping AMP HTML is a valid template AMP HTML, this is the first valid Shopping Gommsite template HTML AMP HTML display that is very modern and adopts a material design view. This theme is suitable for blogs with Shopping. This theme also has a very responsive design so that the layout looks good in screen size, so it has an impact on the accessibility of great content. Not only that this theme has very fast loading and the right right to have high seo values. The available feature is quite complete according to the AMP HTML standard.